If you haven’t seen Avengers: Infinity War by now, then you are one of the few people unaware that half of the Avengers and nearly all of the Guardians of the Galaxy meet their dusty deaths after Thanos (Josh Brolin) unites the Infinity Stones and snaps his fingers. With a jaw-dropping cliffhanger ending like that, we will no doubt be debating if and how the remaining heroes can find a way to reverse the *snap* and bring everyone back to life in Avengers 4 right up until the day the movie comes out on May 3, 2019. Avengers: Infinity War was directed by Anthony & Joe Russo (Captain America: Civil War) from a script by Christopher Markus and Stephen McFeely. 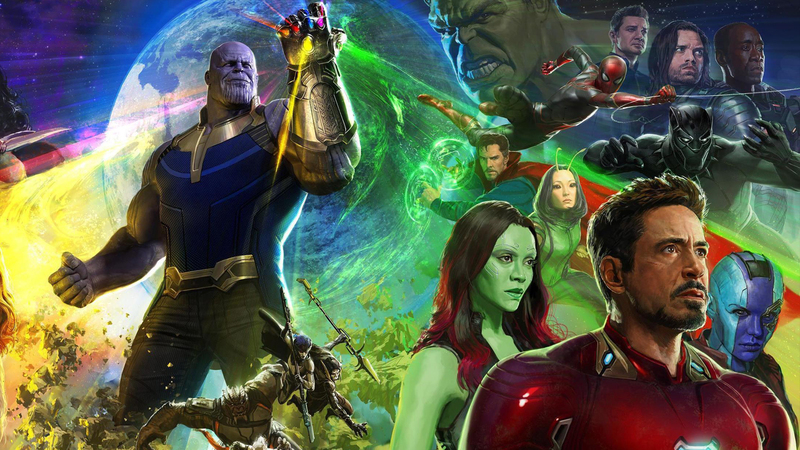 The super cast includes Robert Downey Jr. as Iron Man, Chris Evans as Captain America, Chris Hemsworth as Thor, Mark Ruffalo as Hulk, Scarlett Johansson as Black Widow, Anthony Mackie as Falcon, Sebastian Stan as Winter Soldier, Jeremy Renner as Hawkeye, Paul Bettany as Vision, Elizabeth Olsen as Scarlet Witch, Tom Hiddleston as Loki, Tom Holland as Spider-Man, Chadwick Boseman as Black Panther, Danai Gurira as Okoye, Letitia Wright as Shuri, Don Cheadle as War Machine, Cobie Smulders as Mariah Hill, Benedict Cumberbatch as Dr. Strange, Benedict Wong as Wong, Chris Pratt as Star-Lord, Zoe Saldana as Gamora, Karen Gillan as Nebula, Vin Diesel as the voice of Groot, Dave Bautista as Drax the Destroyer, Bradley Cooper as the voice of Rocket Racoon, Pom Klementieff as Mantis, Benicio del Toro as the Collector and Samuel L. Jackson as Nick Fury. Avengers: Infinity War is in theaters now! Marvel Movie Mini: Eternals Will Be “Epic,” Kraglin Hopeful for Guardians 3 and Wesley Snipes Back as Blade?